The micro computer that changed the world is now more capable than ever. Your complete kit also arrives with a power cable and 2 heatsinks for temperature maintenance. Ready to build your dream machine? With Raspberry Pi, no vision is too big! Huge possibilities in a truly tiny package! Build a fully functional camera, robot, quadcopter and more! 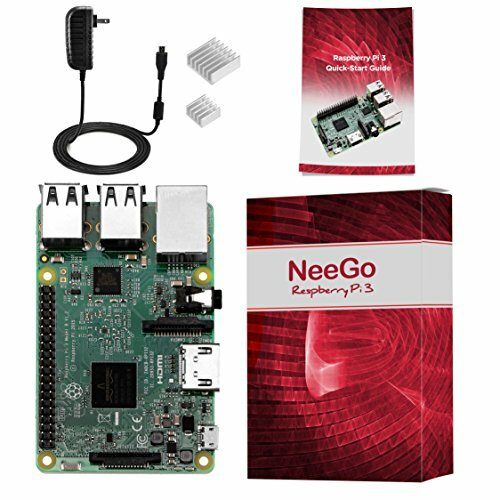 COMPUTER SCIENCE EDUCATION - Offers Limitless Possibilities for Learning; Great for Office Tools, Games, Media, Robotics, Taking Photos, Network Storage, Etc.